Egypt, Turkey & Greece 2010 tour: We experience the greatest monuments of the ancient world, while immersing ourselves in the contemporary life of these special places. 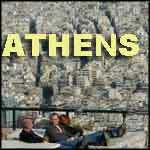 Athens travel video orientation, walk through town including Changing the Guards at Parliament Square. This is a great place to shop. 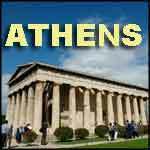 AthensBus tour with a local guide viewing city highlights of Athens including the Parthenon on the Acropolis, the most immportant and famous temple of Greek antiquity. Athens Beginning our tour of Greece with arrival in Athens and a walk through Plaka, Ermou St. and the National Gardens. 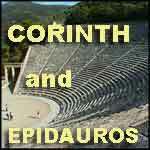 Epidauros and Corinth visiting Epidauros, an ancient theater still used today, and the important early site of Corinth in the Peloponnese, Greece. 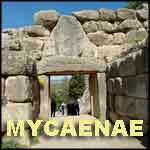 Mycaenae, travel video: built around 1250 B.C. 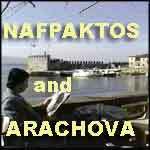 Visiting the archaeological sites of the "Treasury of Atreus," Tomb of Agamemnon, Lion Gate and Beehive Tombs. 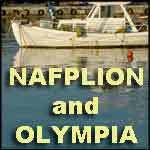 Nafplion and Olympia Nafplion today is one of the country's most charming villages; and Olympia, birthplace of the games, in Peloponnese, Greece. 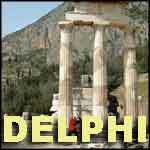 Delphi part 1 visiting the ancient site of Delphi, home of the Oracle and center of the universe. The views are among the finest in Greece from the top of the theater. 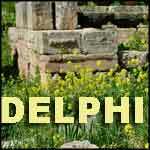 Delphi part 2 continuing our visit to the sacred site of Delphi, Greece, walking through more of the beautiful ruins and through the museum with our guide. 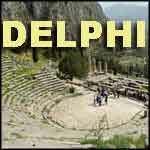 Delphi part 3 Concluding our detailed visit to Delphi with more of the museum, and the temple of Athena in the lower section, with three picturesque columns still standing. 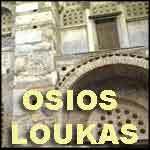 Byzantine monastery of Osios Loukas makes a fine stop on our ride from Delphi back to Athens, and we enjoy another great meal nearby. 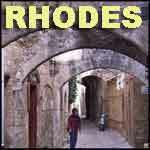 Rhodes part 1: The cruise ship arrives early in the morning at Rhodes, one of the world's most spectacular ancient towns, with two huge medieval walls encircling the town. 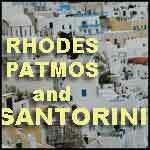 Rhodes part 2, Patmos, Ephesus & Santorini. 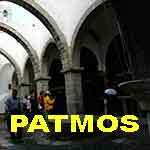 More of Rhodes, then we cruise to Patmos, Ephesus and then to Santorini, famous for whitewashed cubic homes on the cliff. 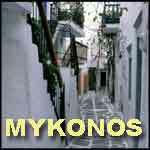 Mykonos part 1 The perfect beauty of this little town has made Mykonos one of the world's most attractive islands. 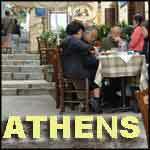 We see a festive parade, walk the alleys and dine at Nikos Taverna. 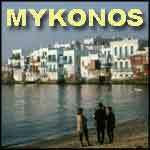 Mykonos part 2 This quaint village of white-washed, cubic buildings rubbing up against the sandy shore, is a dream. Little Venice, Paraportiani, and outdoor restaurants. Greek music and dance	Enjoy a beautiful evening of singing and Greek dance on board Louis Cruise's Cristal on a voyage through the Greek Isles. 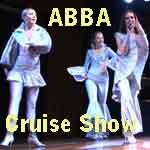 Greek Cruise Another big performance, this time the best of ABBA. 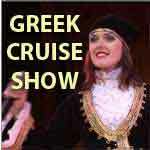 Every night on the Louis Cruises in the Greek Isles there is a great show -- each night something new. Patmos 1 The Greek island of Patmos is small but has several beautiful attractions, with a lovely harbor lined with cafes and sprinkled with fishing boats. 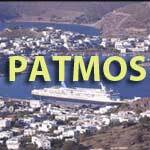 Patmos 2 Two-part video visiting the Greek Island of Patmos, famous for the Monastery of St. John, and the Chora, an old-fashioned village we visit. 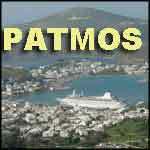 PATMOS We visit the Monastery of St. John, a beautiful, fortified church and cloister on top of the hill, and then stroll through the narrow lanes of the Chora.